Tuesday, March 5th was the inaugural celebration of Portland Pearl Rotary honoring International Women’s Day, was a smashing success. 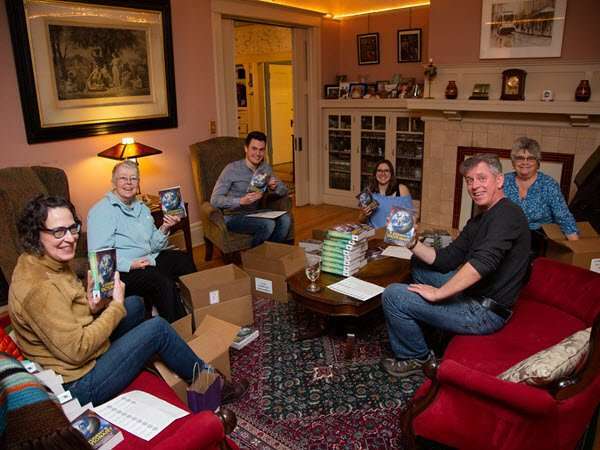 In a desire to create an event that honored the work that women do in the world and through Rotary International, President Adina Flynn created a steering committee to shepherd the planning and execution of the event. The committee wanted to highlight why having a better balance of gender equity serves to benefit all of us. Highlighted in the event is the lack of female leadership on the Rotary International Board of Directors. A predominantly white male board, with 20 members, less than half is individuals of color. It was not till 1977 that three separate proposals to admit women into membership were submitted to the Council on Legislation for consideration at the 1977 Rotary Convention. In 1983-86 a lawsuit filed by the Duarte club, the California Superior Court in 1983 rules in favor of Rotary International, upholding gender-based qualification for membership in California Rotary clubs. In 1986, the California Court of Appeals reverses the lower court's decision, preventing the enforcement of the provision in California. The California Supreme Court refuses to hear the case, and it is appealed to the U.S. Supreme Court. It is not till May 4th 1987, the U.S. Supreme Court rules that Rotary clubs may not exclude women from membership on the basis of gender. Rotary issues a policy statement that any Rotary club in the United States can admit qualified women into membership. In the 114 years of Rotary International, we have yet to have female President. It is rumored that at the start of the 2019-2020 year, 3 women will on the Board of Directors. As women of Rotary, we want what is best for our organization and we feel that if there is more gender equity, it would better serve our organization and the world. The first women’s day was organized in America in 1909. Full time female workers in Oregon make 21% less than men - that’s 79 cents on the dollar. At some point in life, 1 in 4 women will be abused by an intimate partner. 33% of Oregon single working mothers live below the poverty line. That’s less than 26k for a family of four. 60% of women and children worldwide are chronically hungry. Less than 20% of women worldwide are landowners. Yet over 43% of women in developing countries are agricultural workers. We have the highest ever number of women in the current US congress - less than 25% between the house and senate. 4.8% of fortune 500 companies in 2018 were led by women. That’s 25 women total. It is going in the wrong direction, decreasing from the prior year by almost 25%. Talk to them! Women are predominantly left out of the conversation as it relates to decision-making. When programs and policies are designed without women’s needs central to their foundation, we’re setting ourselves up to fail. Empower Mothers: We have learned that through empowering women on the community level you will also enhance girls education and quality of life. When mothers are educated and empowered to make choices in their lives, they enable their daughters to have better futures. Give proper value for ‘women’s work: The unpaid work that women and girls do provides for the foundation for the global economy. Beware of the Backlash: One of the realities that we need to remember and address is that, when women “trespass” in spaces that were previously completely male-dominated there is often a penalty. In education and in the workplace that backlash often takes the form of sexual harassment, humiliation, and violence. Looking at a local level or specific situation, we can see how that slows the pace of women’s entry to that sector or opportunity. 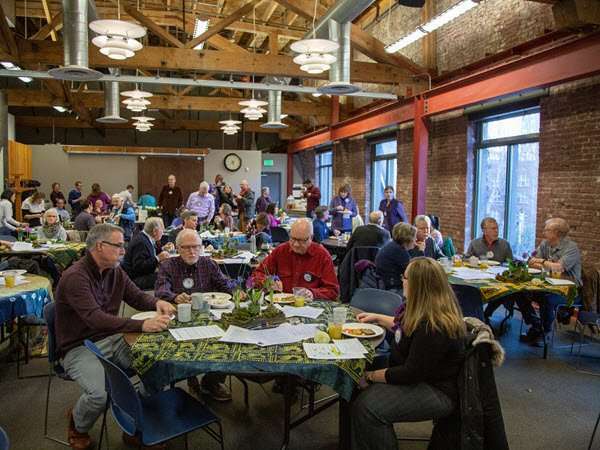 Thank you to all the members who had their hand in the event: Elizabeth Cramer for making the wonderful table arrangements, Jonelle Anderson for the table clothes, everyone who brought food to share, Jack Bradley for the roses, and Jerry Baysinger for the song. Members of the committee: Adina Flynn, Jonelle Anderson, Janet Young, Yelena Girich, Jan Berger, Anne O’Neil, Sara Shah, Nancy Fowler, Tara Mussulman, Diane Brandsma, Kelly Hepner. Most of all, thank you to President Adina Flynn for starting this new PPRC tradition! The next thing I would like to make sure is on everyone's priority list is the District Training Assembly, April 13th at Centennial High School. Get your Rotary STOKE on! With programs targeting every avenue of service and club activity, this day will make your time in PPRC that much more valuable to you and your club. 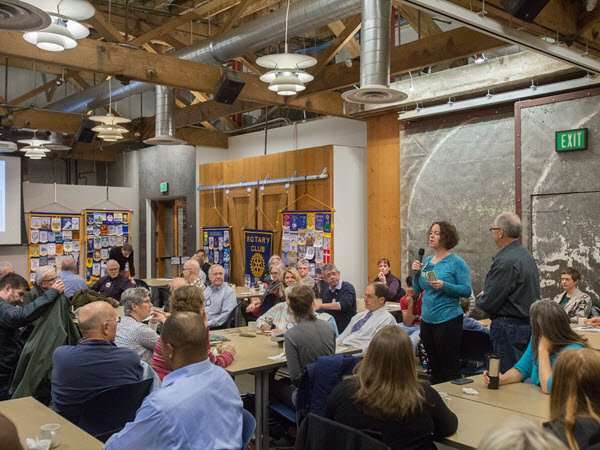 Whether you are a club leader or not, you'll learn how to be a more effective Rotarian. How about the ABC of Rotary for newer members? Everyone could benefit from Attracting and Engaging Emerging Professionals. 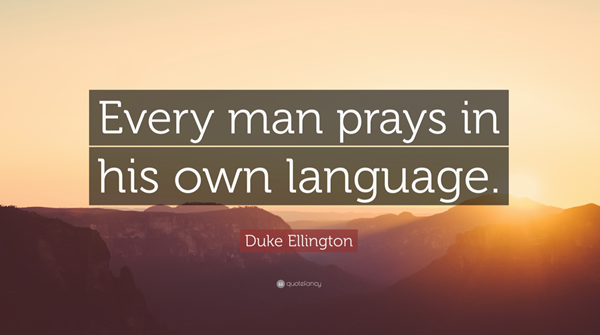 Or something more general that will benefit you vocationally like Leading with Success in Mind, Public Speaking for Rotary Leaders, or Leading an Effective Meeting. I know we are all busy but I give you a money back guarantee that this will be worth your time. Want to sign up? Need a ride? Don't want to pay $40? No excuses - I can fix all those obstacles for you. Your club needs you! See you there! 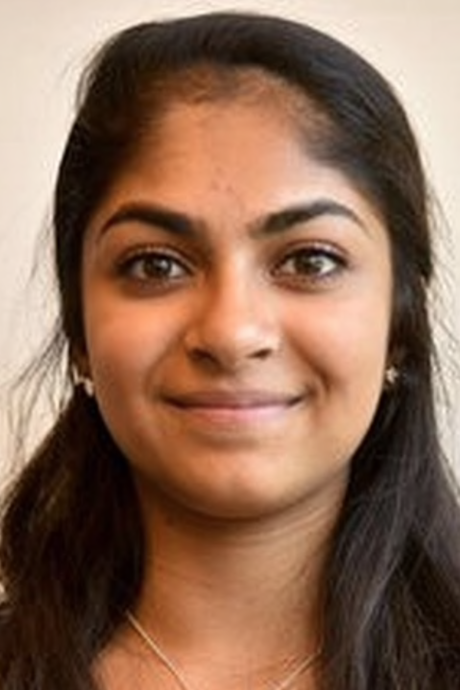 Sagarika currently serves as the Editor-in-Chief for the Cardinal Times and has been recognized as the 2019 Oregon High School Journalist of the Year. Previously, she served as the design and Deputy Editor and has worked on improving diversity, digital media and other initiatives in the paper. 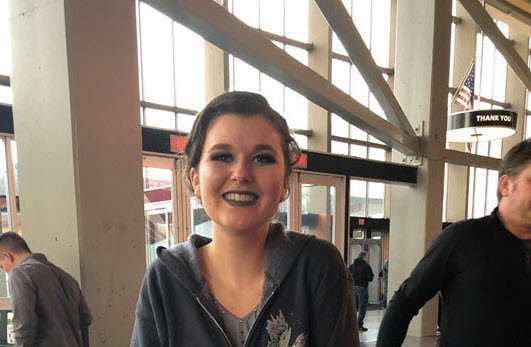 In addition, her sophomore year included being a part of the We the People Constitution team as the units Captain, where they won 1st at regionals and 2nd at State. Sagarika continues to serve as a co-president for the Asian Student Union, working with other student leaders on their multi-cultural initiatives. A current project is working with Taghrid Khuri, who is a Portland State professor in the area of Women’s Gender Studies for Lincoln’s new school. They plan to implement and find more ways to represent peace, justice, marginalized groups and current/alumni students from Lincoln and the greater community. 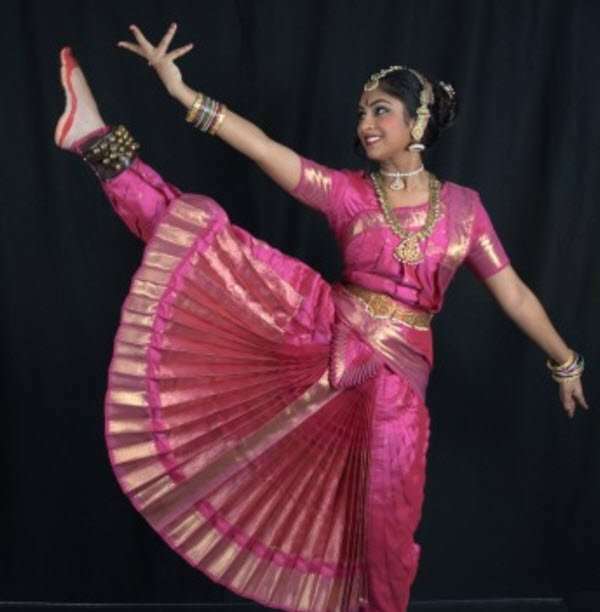 Sagarika has been dancing Bharatanatyam, a classical Indian dance since the age of four. She did a two-hour solo dance at the Newmark Theater for an audience of over 600 and has had over 50 performances. She continues to choreograph and teach. Being active in her neighborhood, Sagarika was the Youth Director for the Northwest District Association and assisted with communications and marketing/outreach. Additionally, she was a member of Youth Leaders in Action through World Oregon and Mission: Citizen, a student lead non-profit that aims to help legal residents/green card holders assist them in passing the naturalization test. She enjoys volunteering for the Oregon Food Bank, Reconstruction Project, and Kids First Project. I plan to attend a four-year university/college, and attain a graduate, and possibly a PhD degree. I hope to participate in the Peace Corps in the future. As of right now I’m planning to study journalism and International Relations, and I hope to have a career in the International Relations field, including NGO work, the UN or journalism as well. There are many leaders both in my community and around the world who inspire me. Malala Yousafzai is one person who inspires me the most. Being a young, woman of color who has used a touch experience to start a discussion and make change is something that not many teenagers can do, or have done. Her foundation and work towards education young women around the world is very inspiring. There needs to be more women supporting other women in our world today, and Malala does this excellently. My mother is one of my biggest role models. From going to community college, having a child at a young age, going to college and getting and MBA with young kids, she’s shown me what it’s like to work hard and showing how hard work pays off. She’s been a leader in her career, supporting women suffering domestic violence and in her community. This year she’s been recognized as and influential business woman in Portland from the Portland Business Journal, and works for Mercy Corps, which has inspired my passion and interest for global issues and NGOs. Her hard work and determination led her to a career that she loves and is passionate about, which is what I want in my future. My family and my peers drive me to succeed. I aim to make my family proud, as they have been my constant support and guiding voices that have helped me to get where I am today. Going to Lincoln, I am also driven to succeed being surrounded by such amazing, excelling students who are working to change the world around them. They have driven me to be more involved, use my voice and push me to do my best in everything I choose to do. What would be one area of our community you would like to see improvement? I think in Portland, and Lincoln, diversity and equity are very important in different ways. Many people still have lots to learn about equity versus equality, and why it’s important for marginalized groups to be represented and the importance of giving voices to those who don’t have one. In my own neighborhood association, the lack of diversity with regards to race, age, and gender is shocking and yet it’s a great way to be involved in the community. I think the community could work to improve diversity and help bring voices to minorities too. First Wednesday for March and April! 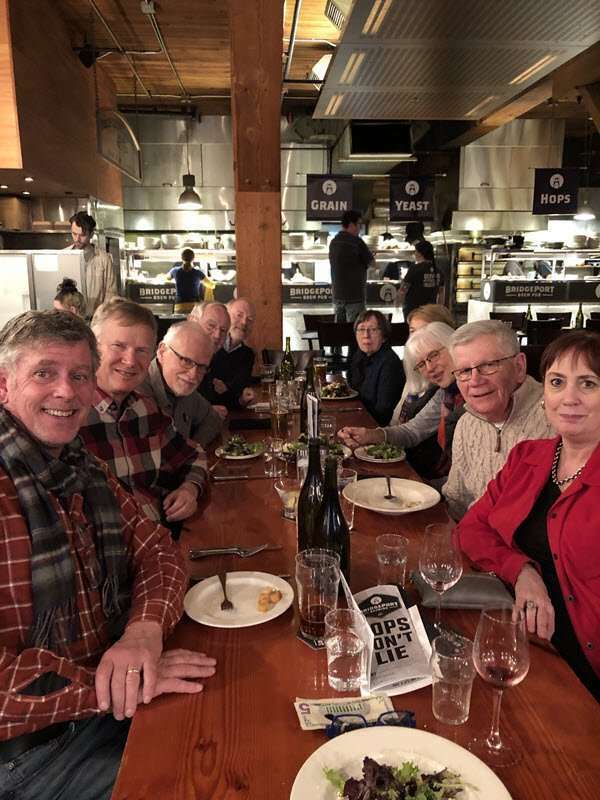 First Wednesday - About 15 members and guests toasted to the last days of Bridgeport Brewery at the March First Wednesday. This social hour is a great way to honor the fifth pillar of our 5-Way Test: Is it Fun? 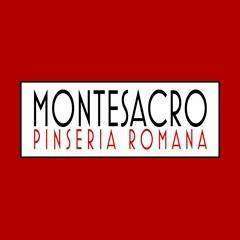 If you haven't attended in a while, please consider joining in on Wednesday, April 3rd at Montesacro Pinseria, 1230 NW Hoyt at 5:01 pm. In addition to a new restaurant, which is garnering rave reviews, it's a great way to know your fellow members and their guests better. Our committee attended the District monthly international service meeting and made some strong connections with other area club's international service committee chairs. We are looking for financial partners for our project. It has been nearly two months since we have submitted our paperwork to Rotary International for a preliminary review of our grant and still have not received a response. Our goal is still to submit the grant sometime in April. 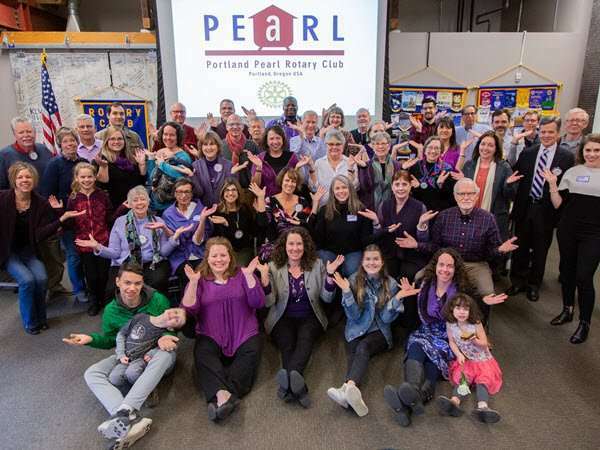 Portland Pearl Rotary looks to be a 100% Paul Harris Club in 2019! 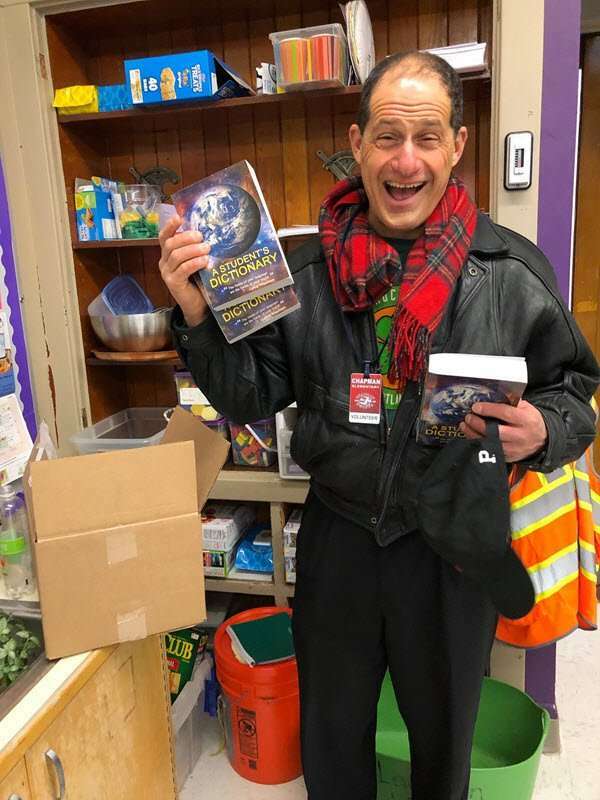 At our April 2nd club assembly Phil Rothrock will be sharing with us how to become a 100% Paul Harris club with either your financial support or by contribution/donation of recognition points. If you have donated to the Rotary Foundation you are ensuring Rotary International fights disease, provides clean water, supports mothers and children, education, grows local economies, and continues to promote peace. Charity Navigator has consistently given Rotary International 4 out of 4 stars, and a 100% on transparency and accountability. 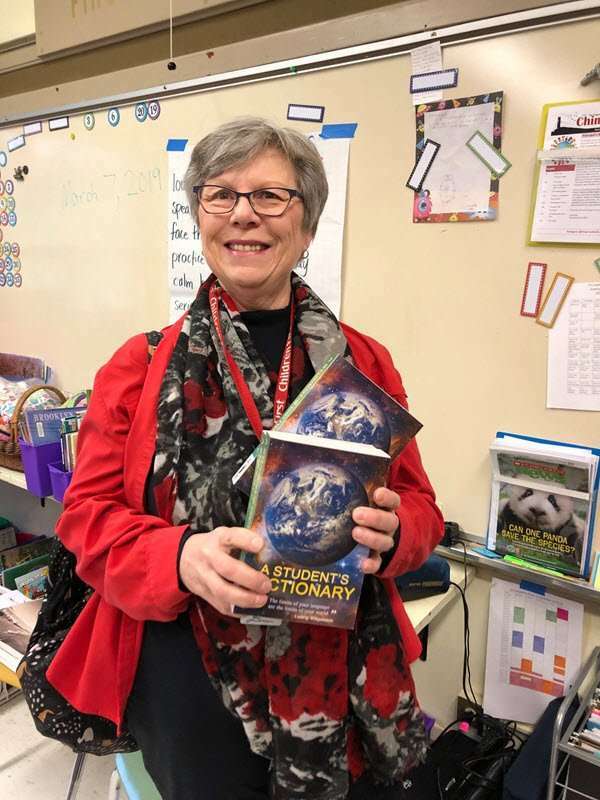 The Annual Dictionary Project – Everyone Gets One! 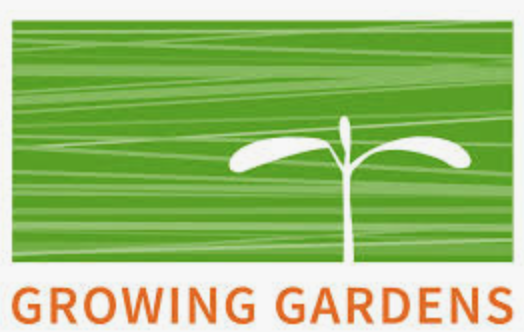 PPRC Growing Gardens Team – Rake Superior is looking for your financial support. The team members for the spring dig in have all signed up for the April 20th date, now all we have to do is raise $1,000. There will actually be two teams one-half PPRC members and the other half, Boy Scout Troup 69, which our club supports and sponsors. If you would like to make a donation to this project, reach out to President-Elect Nominee Perry Swanson and he can process your donation. 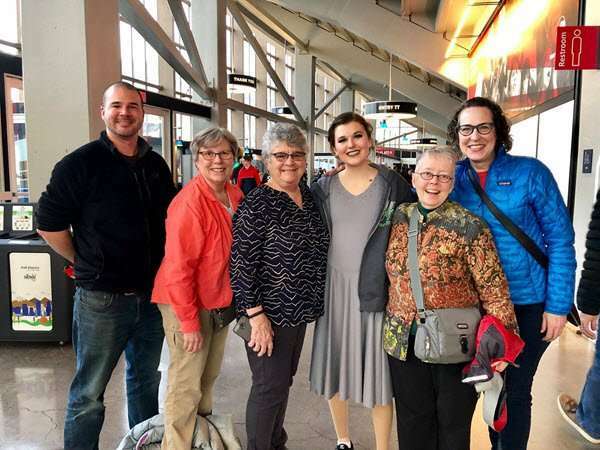 Portland Pearl Rotary Cheering Committee for Eva Gaebel at Dance Competition! 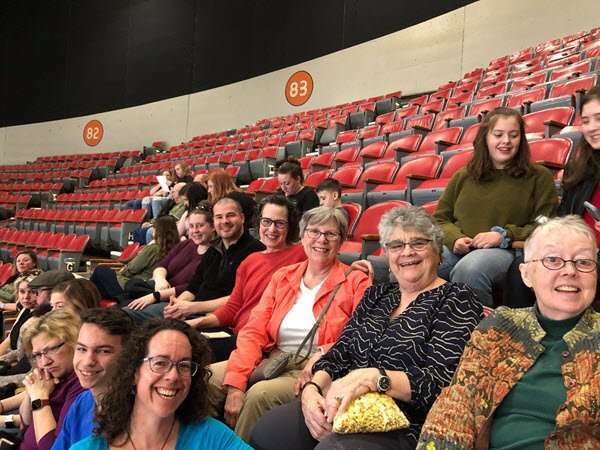 Pearl Rotarians enjoyed cheering inbound exchange youth exchange student Eva on Friday, March 15th at Memorial Coliseum. 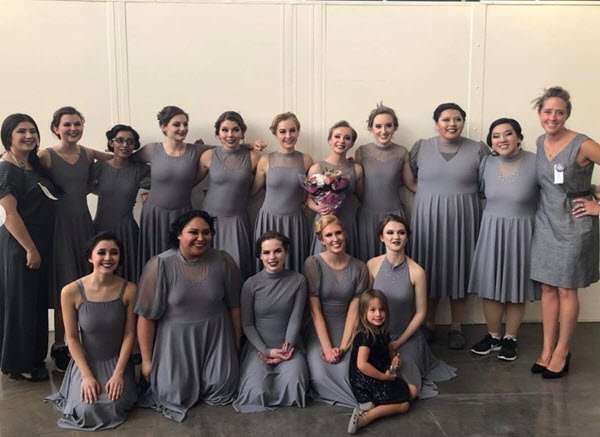 Eva and her dance team at Benson high school have been fervently practicing for their upcoming dance competition, having multiple practices through out the week and that lasted well into the evening. Congratulations Eva on your great performance, and we you had a wonderful time at Nationals in Anaheim! 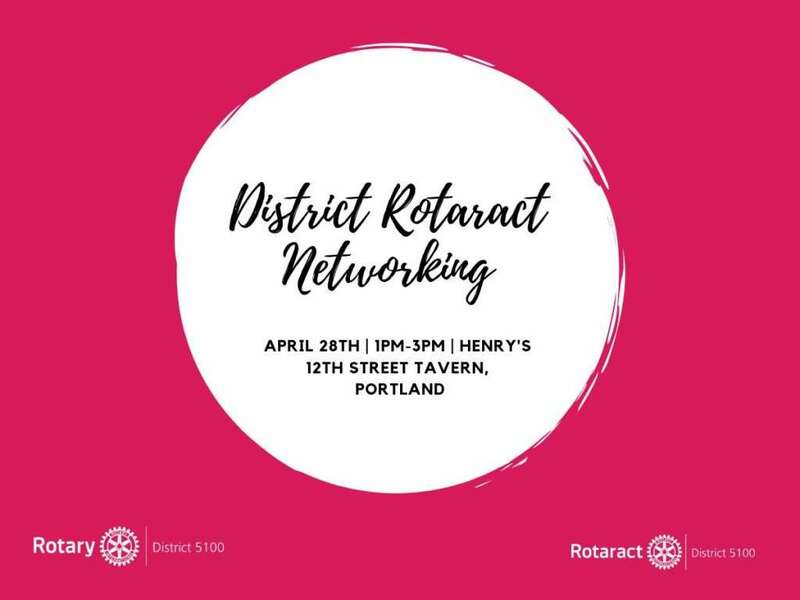 This is a great opportunity to connect with local Rotarians, District leadership, and Rotaractors, and enjoy billiards, appetizers and a limited hosted bar. All ages’ welcome. 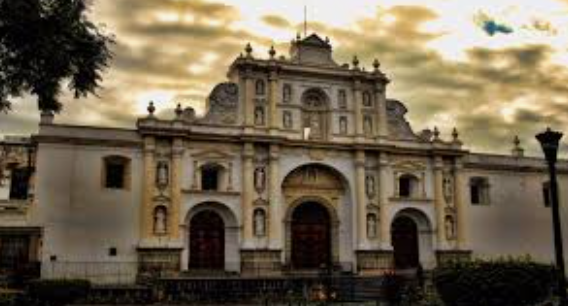 Portland Rotaract and Portland New Generation are planning an international service trip to Antigua, Guatemala in October 2019! The clubs will be partnering with Stove Team International to deliver stoves to the early 16th century city. Why deliver stoves? Smoke from indoor cooking fires is a leading cause of death of children under age five, and the world's largest environmental killer. 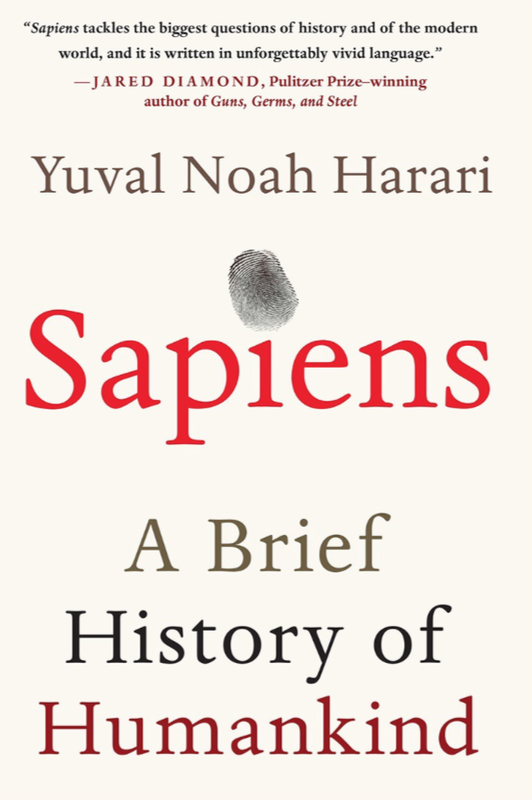 It kills eight times as many people as malaria. New members: We have no membership applications in-process currently, although we are expecting two new applications shortly, from Natalie Teschendorf and Molly Nissen, both of whom have said they intend to join us. Looking forward to welcoming both of them into PPRC! Katja Gluhr has chosen to resign from Rotary for personal reasons. We will miss her and hope to welcome her back in the future. I am excited to report that Sara Shah has agreed to chair the Membership committee starting on July 1st. 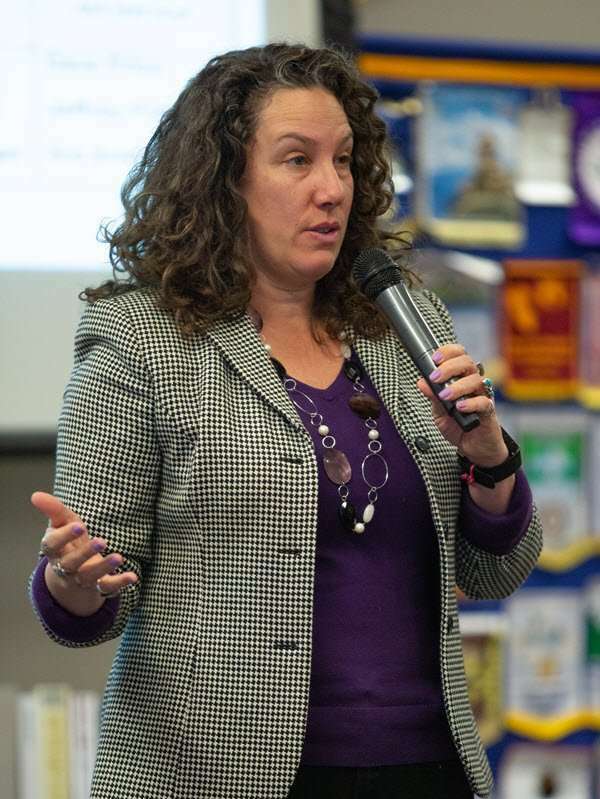 We will begin spinning Sara up on all things Membership starting in April, expecting a smooth, seamless transition for the 2019-2020 Rotary year. Thanks Sara!